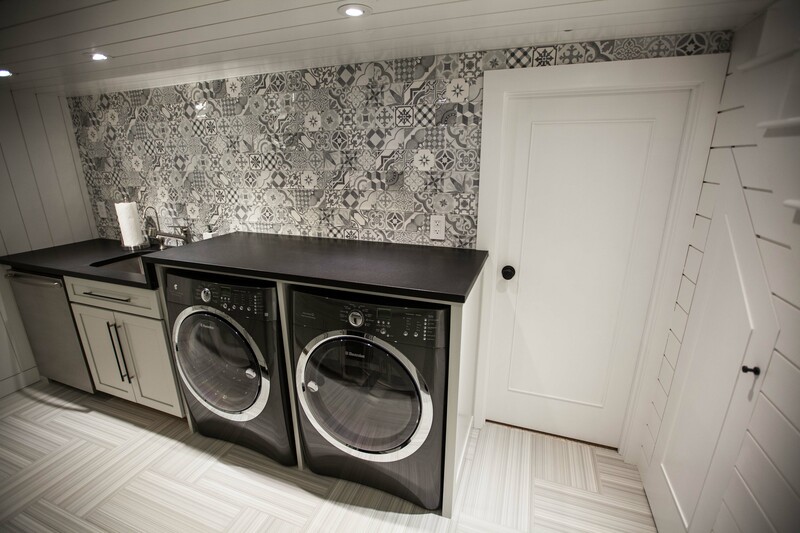 One of the best laundry rooms we've seen this year! 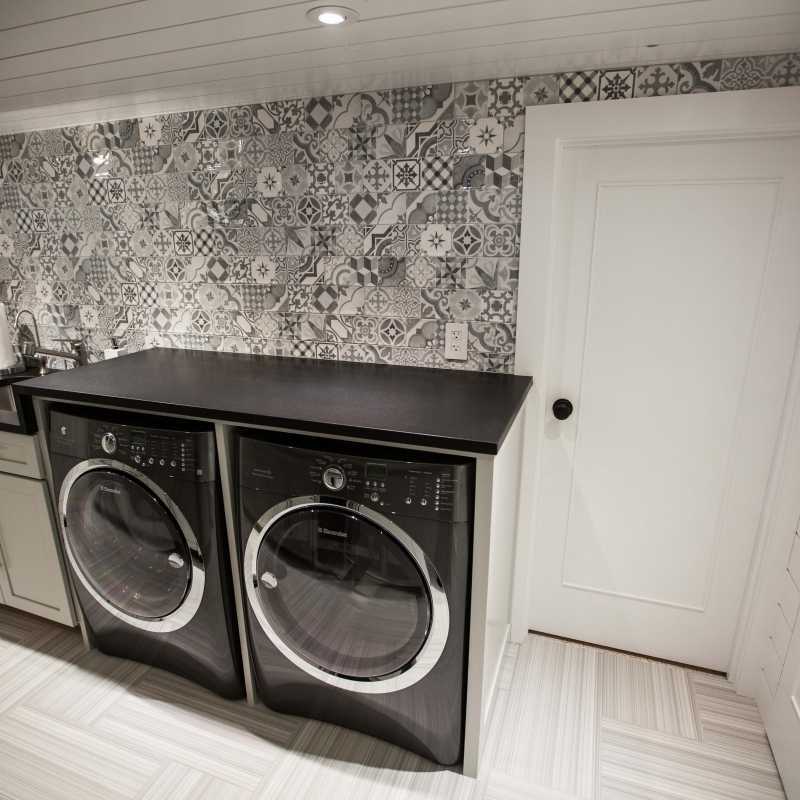 A 12" x 24" porcelain (Surface Guru) set in a herringbone pattern along with a 4" x 12" decorative ceramic wall tile (Cold Deco) were carefully selected and installed beautifully. 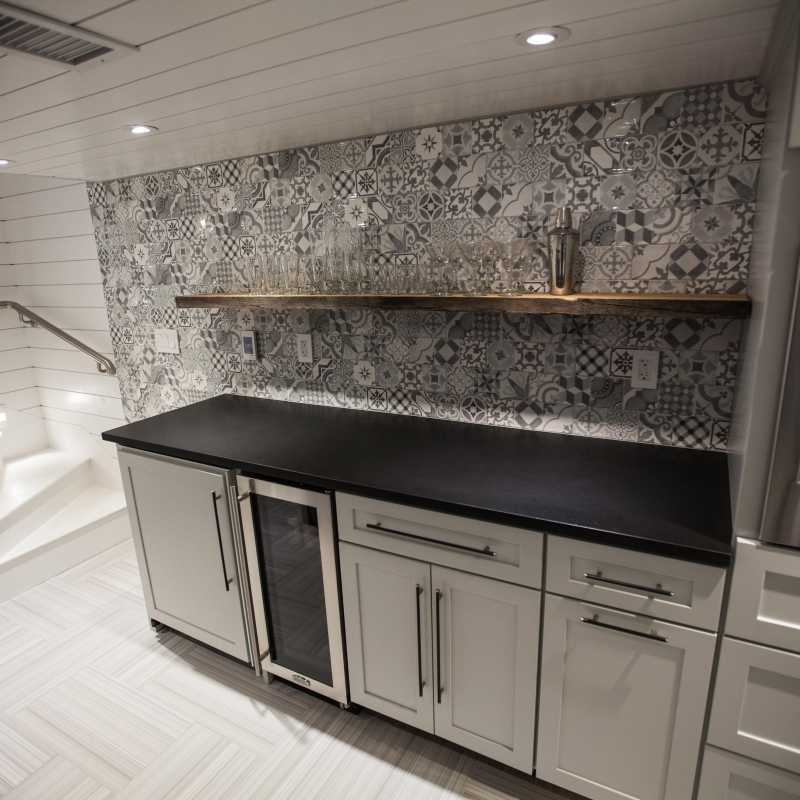 A big thanks to our customers for the great looking pictures! 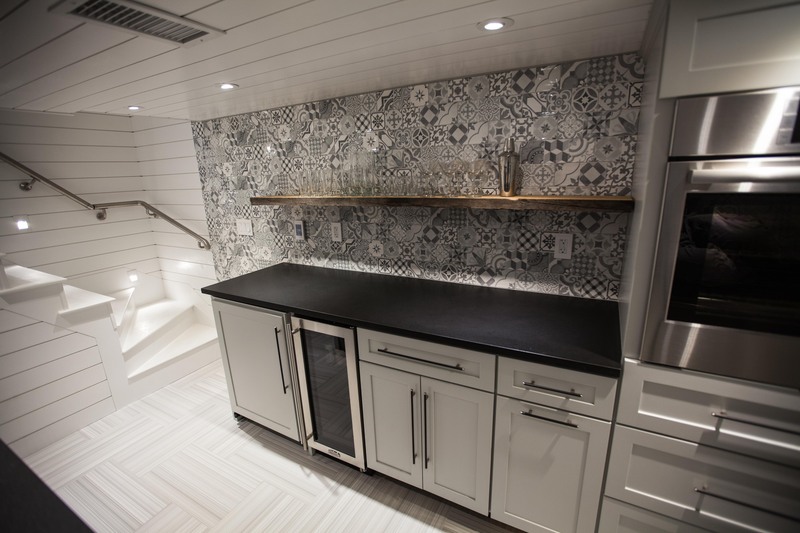 Check out our Tile Gallery for ideas with your next project!